In an effort to better engage and encourage residents and businesses to take an active role in the city, Mayor Tom Kneeland has established Area Commissions to allow for more public involvement in decisions affecting commercial development, zoning, and economic development efforts. The goal of these commissions is to help build a better communication channel between the City and its residents, business owners, and developers. The Area Commissions are a part of Mayor Kneeland’s 10-point Plan or “Commitment to Gahanna” and is in alignment with the City’s strategic plan, Go Forward Gahanna, which was adopted in 2016, and the Economic Development Strategy adopted in December 2015. Provide feedback by reviewing zoning, annexation, and conditional use proposals prior to review by the Planning Commission or City Council. Provide feedback by reviewing City projects, programs, and other items as initiated by the City. And, aid and promote communication between neighborhoods and the City by establishing five different area commission groups that align with city ward areas and the downtown business district. Does the scale and use fit the context of the surrounding neighborhood and area? How could the proposal be improved? What are the outcomes of the proposal? How does the proposal fit the context in terms of pedestrian friendliness, scale, compatibility with surrounding uses, vehicular circulation, and traffic? Project Application – required to be completed by developers interested in submitting a project to the Area Commission. For more information, contact the City of Gahanna Planning & Development department at 614-342-4015 or email development@gahanna.gov. Please complete all information requested on this form. 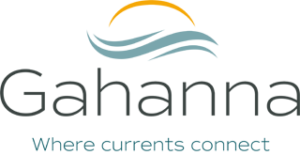 In addition to filling out the form, please submit a letter of interest and/or resume to development@gahanna.gov to complete your application for consideration to serve on a Gahanna Area Commission.